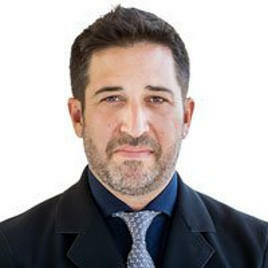 Greg Neinstein is a personal injury lawyer serving accident victims in Burlington and the Managing Partner at Neinstein Personal Injury Lawyers LLP. He is certified as a Specialist in Civil Litigation by The Law Society of Ontario and focuses his practice exclusively on serious personal injury, motor vehicle accident injuries and insurance claims. He has successfully presented before the Ontario General Division Court and the Ontario Court of Appeal. As your personal injury lawyer, it is my job to act as your advocate and trusted advisor in all matters of your recovery. It is of paramount importance to me, that you and your family receive all the necessary care, support and the maximum compensation you deserve. A serious injury can have a lasting impact on your life and the lives of your loved ones. When you retain Greg Neinstein to act for you – The considerable resources of Neinstein Personal Injury Lawyers are mobilized on your behalf. We have helped countless families access the medical and financial resources necessary to get back on track. Greg and his team will fight to ensure you receive the maximum compensation to which you are entitled, and grant you the peace of mind to focus on recovering your health and returning – As close as possible – to your pre-injured state. Injured in Burlington or Anywhere in Halton Region? Contact Greg! Need a Burlington Personal Injury Lawyer? If you or a person you care about has suffered a serious injury contact Greg Neinstein to discuss the circumstances of the accident / injury. There is no cost or obligation for this consultation. Phone: 416-920-4242 or Email: greg@neinstein.com.